Interested in bringing the GMV team to your hometown? 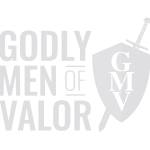 Ready to make the commitment to becoming the man God intended you to be? Our team is prepared to teach and equip your group! This helps cover workshop expenses. Typical expenses can include travel, lodging, and food for the instructors. Each attendee is responsible for their own transportation to/from GMV workshops. Depending on the venue (Hotel or Campground), none, some or all meals may be provided. Plan on bringing sack lunches. Additional costs may be incurred at campgrounds to cover accommodations & amenities. At least a half court (basketball) sized area for physical warfare training. Padded flooring is nice, but not required. We can train outside if the weather permits, but we must have a covered area just in case it rains. A sound system capable of playing music from an iPhone/iPod for worship, and a projector and screen for Powerpoint presentations and videos. GMV Workshops are schedule Fridays & Saturdays. Scheduling a GMV Workshop will be contingent on all of the instructors' schedules. We'll do our best to schedule as close to your requested day.